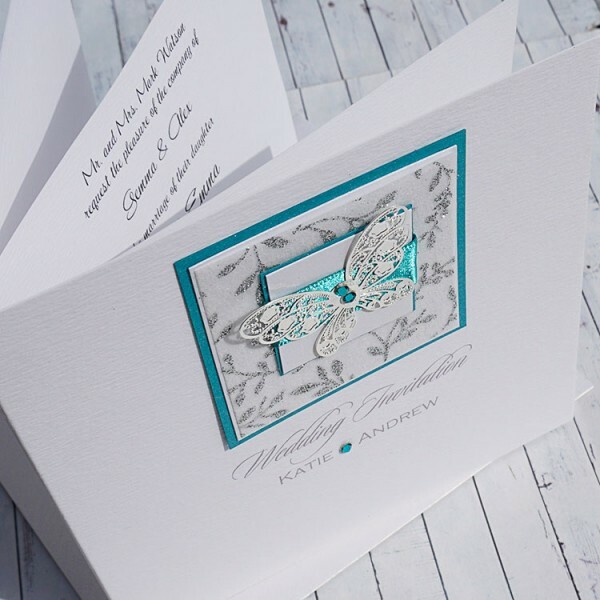 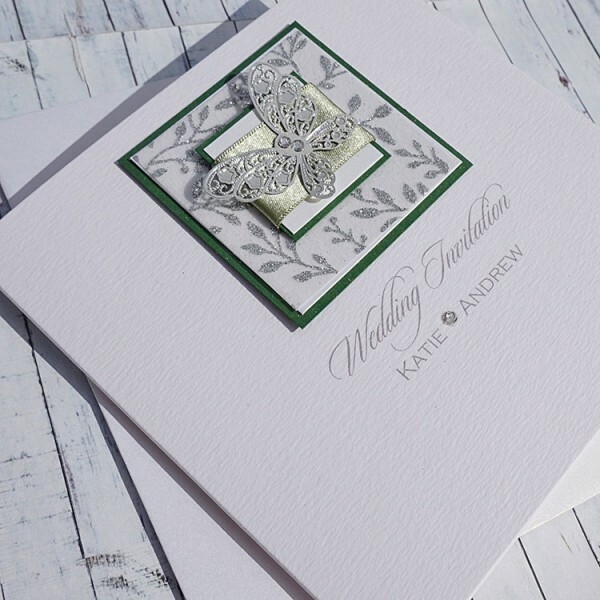 Handmade Wedding Invitation (Classic Fold) "Fiji"
The Fiji design features a stunning metal butterfly with genuine Swarovski Crystal diamontes and a luxurious sparkly material. 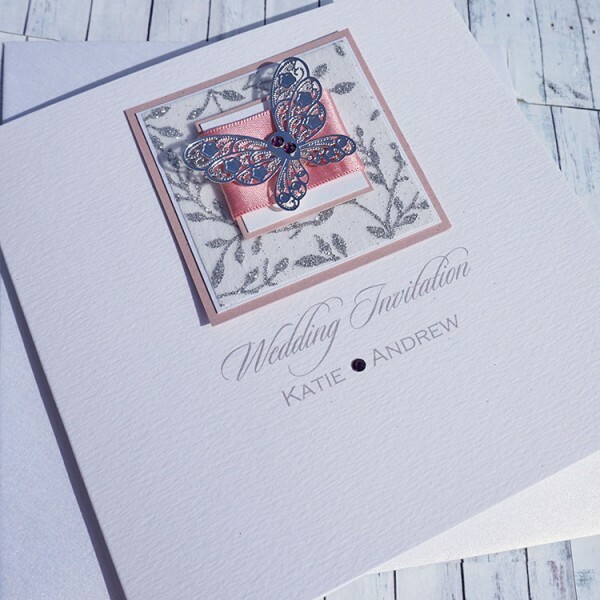 Created on your choice of superb quality white or cream textured card and supplied with matching textured inserts and plain white envelopes. 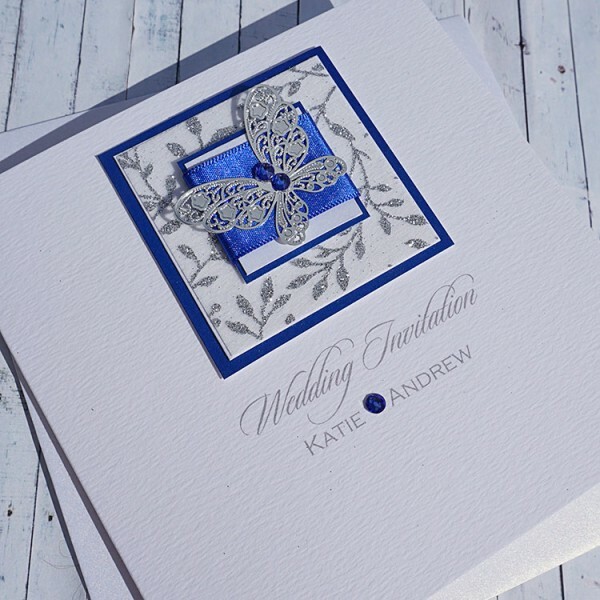 Fiji wedding invitations are fully personalised with your own choice of wording and fonts and can be made to match any colour scheme. 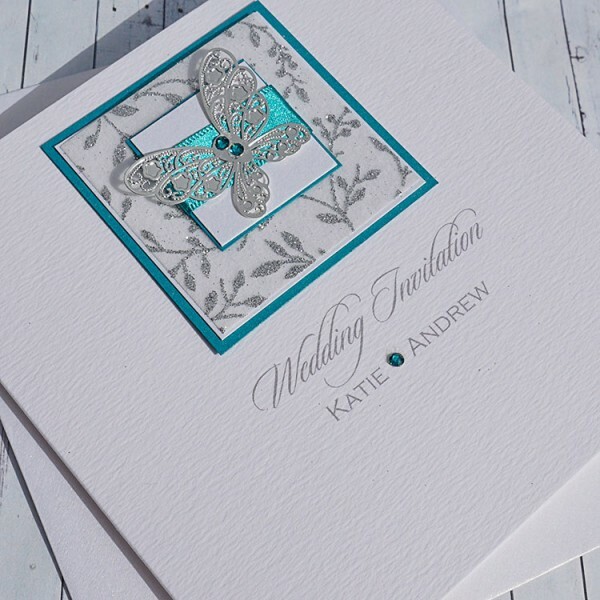 The butterflies come in silver, black and white. 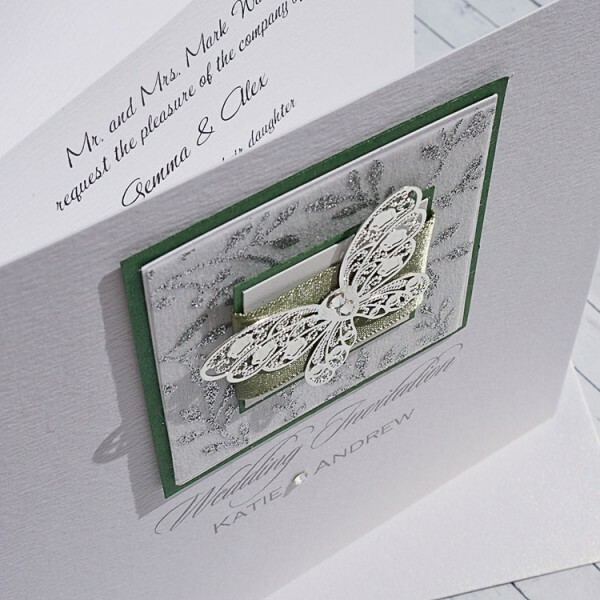 Handmade Wedding Invitations "Bali" The Bali design is stylish and contemporary, in white and..